At this time of year, I always notice an increase in the amount of parties and get togethers there are, as Christmas gets ever closer. With this in mind during November, I've been focusing on really getting myself looking and feeling as good as possible. Pampering and preening myself, I've been using products that nourish and help to banish any damage that the cold weather has done, ready to whip out my glad rags. 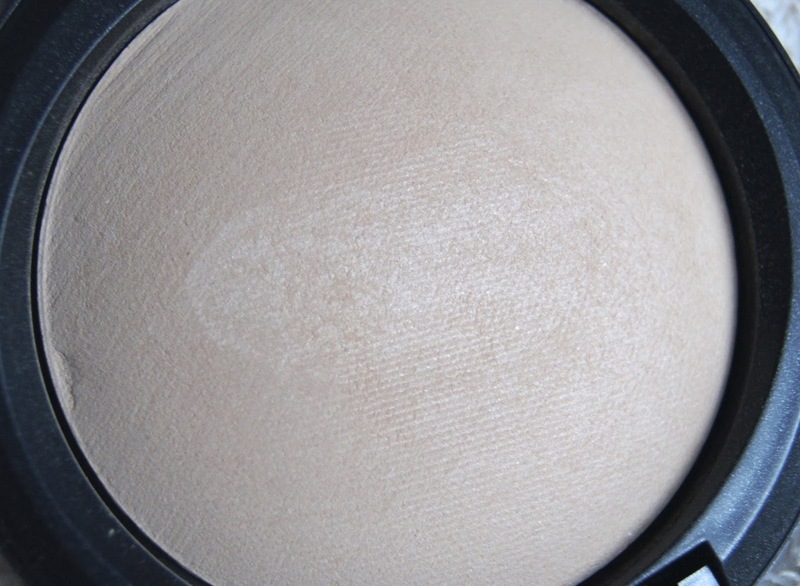 MAC's Mineralize Skinfinish Natural Powder is literally the best powder I've ever tried. Whenever I use it, especially after putting it to one side for a while, I'm reminded just how flawless and perfected the skin is left looking. This little wonder sets makeup, adds coverage and luminosity and blots away any pesky oil that comes through during the day. Personally, I don't find that it leaves skin looking caked in makeup, but I do just gently push a small amount into the skin, rather than sweep lots of it everywhere. Whenever I wear this, my makeup stays in place all day and it's great for days when you feel your skin needs that extra little bit of help to look its best. But, unfortunately, there is a caution that needs to come with this product and I'm sure, if you have heard of this before, you'll know exactly what I'm talking about. Firstly, beware; this powder does cause a huge amount of flashback in photographs, leaving you with, a) ghost face and b) looking as if you had a pot of grease thrown at you. When looking through pictures, you may think you need a top up, as you're looking shiny and add yet more powder, continuing the vicious cycle! Not such a good look, so definitely steer clear of this for whenever you're going anywhere that you'll be photographed. But, all is not lost! I wear this pretty much any other time, day or night. 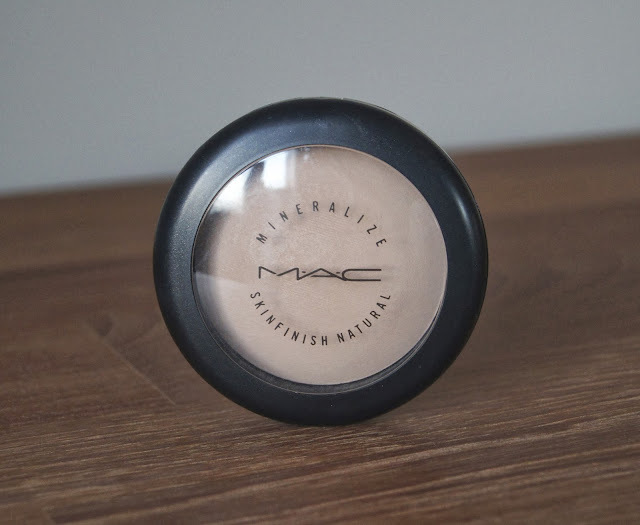 As with all Mac products, there's a great shade range and this powder would suit all skin types, apart from extremely dry skin, as I imagine it could cling to flakey patches and look quite heavy on the skin. I have had this compact for around six months now and it's still going strong, proof that it lasts a good while. So, £21 seems a fair deal to me. The packaging is classic, black and simple, with the transparent plastic lid. Nothing special, but fuss free and it's the product inside that counts. Whilst I don't like to go overboard with fake tan during Winter, I do like a hint of warmth on my skin, just so I don't look too washed out. 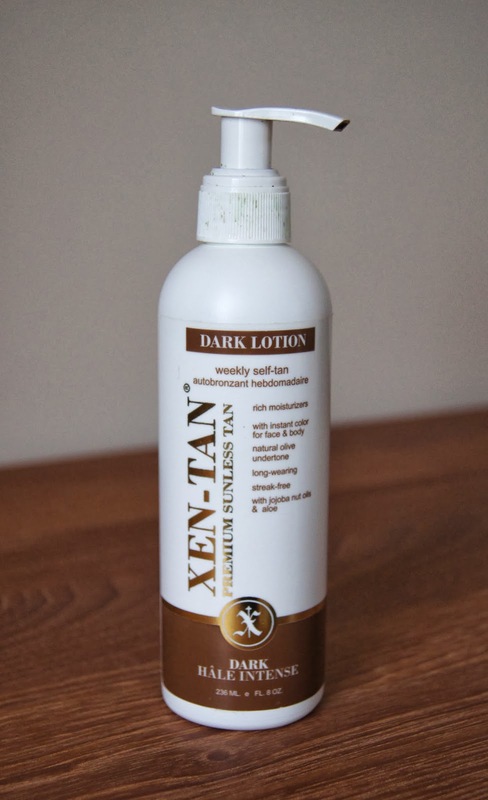 The Xen Tan Dark Lotion Weekly Self-Tan is perfect for that. Whilst it does have a very deep, intense colour, my hair is very dark and I only apply one, thin layer of tan. With the formula being green based, the result is very natural and olive toned, as opposed to orange. Giving instant colour, you could apply this and go, but I tend to fake tan before bed, rinsing it off in the morning. The nourishing formula is silky and it leaves skin feeling soft and supple, compared with other tans that leave it dry and itchy. Easy to blend into the skin, the tan is streak free and doesn't leave you patchy or with tell tale build-up around the knees or elbows. Whilst initially the smell of the tan is gorgeous and like marzipan, when you have been wearing it for a good few hours, the notorious 'biscuit' smell lingers on the skin. Xen Tan claim that this is a weekly self tan and although it does last well, even without too much regular upkeep, I do find that I'd re-do it after about five days, instead of a full week. Although, it does wear off pretty evenly. You can use this on both face and body, but I use a separate product, as I wouldn't put such a strongly fragranced lotion onto my face, in case it broke me out. Packaging wise, the bottle can get covered in green gunk if you don't wipe it down when you've used it, due to hands covered in fake tan touching it during application. Although, the bottle easily wipes clean. The pump is extremely useful, meaning you get just the right amount of product for each area and you don't waste any. This 236ml bottle gives me around eight full body applications, with a few top ups, so with the RRP of £28.99 (you can get it much cheaper elsewhere), this works out at about £2.90 per application. A great deal, in my eyes. 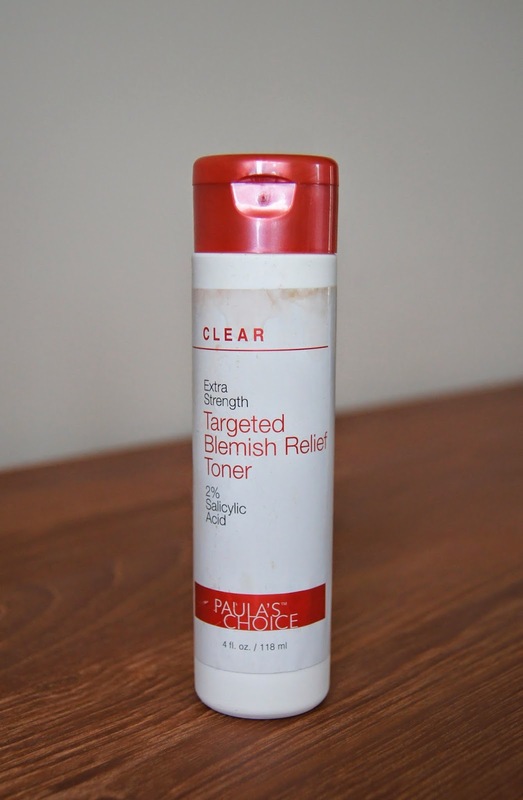 If you suffer from blemish prone skin, then I urge you to pick up this miracle product - the Paula's Choice Clear Extra Strength 2% BHA Anti-Redness Exfoliating Solution. Never before have I used something and noticed incredible results pretty much immediately. After suffering with a sudden onset of blemishes around my mouth, chin and jawline, starting back in Summer, I literally tried everything to get my skin back into shape, changing my diet, trying out new skincare products and stripping my skincare routine back to basics. Nothing worked. I continued to get small, red bumps appearing, with some coming to a head and others just getting bigger but remaining under the skin. Then, whilst watching this Youtube video from the fabulous Wayne Goss, I saw this toner and decided to just take the plunge and give it a go. Best decision of my life! Containing 2% Salicylic acid and having a ph range of 3.2 - 3.6, this formula is strong but not at all harsh. Being 100% fragrance free, it doesn't have that horrible, strong astringent smell that some spot treatments can have. BHAs exfoliate inside the pores, effectively unclogging them and getting to the root of even the most stubborn of blemishes. Redness is significantly reduced and my complexion is one hundred times clearer. Unlike other lotions and potions I've tried, designed to treat blemishes, this doesn't dry out my skin whatsoever. When applied, it doesn't sting, but soothes and feels moisturising. Once on the skin, it does take a long time to sink in, but as I only use this in the evenings or when I'm passing on makeup, I don't mind. I simply use this in place of a regular toner, skip any serum and go straight to moisturiser after it. Simple! Now, I only get the occasional hormonal blemish, but the rest of my skin has never been better. I can't give this enough love! Whilst £21.50 initially seems steep, one of these bottles has lasted months and months. Also, considering how much my skin has improved thanks to this product, it could cost triple the price and I'd still be happy to purchase it. 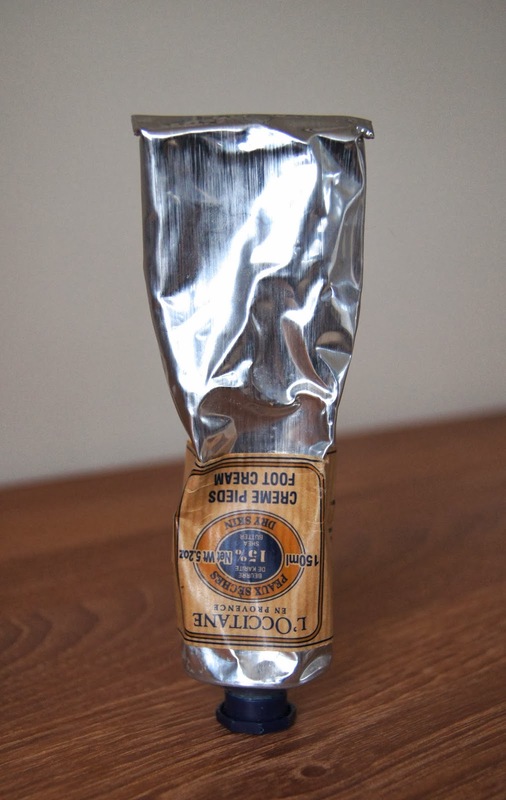 The packaging is simple and clinical. However, one bottle that I've had, has leaked when I've poured the liquid onto a cotton wool ball, ruining the label and meaning that I needed to keep it in a little plastic bag. This only happened with the first bottle I had though and the second one has been fine. Why take care of your feet in Winter? Well, I won't be getting my tootsies out any time soon, but I do like to keep them in tip top condition throughout the year, so that when Summer rolls around once again (yes, I know I'm thinking way too far ahead) I won't have such a challenge to contend with. Once a week, usually on Sunday evening, after I've had a hot bath, I like to give myself a good exfoliation and moisturise, including my feet. After a pedicure, I apply the L'Occitane Shea Butter Foot Cream liberally and really massage it in well. I then apply some more and pop on a pair of thick socks before I get into bed, letting all that goodness soak in. The next morning, my feet are so soft any any dry bits have vanished. This foot cream isn't too thick, but is so moisturising, nourishing even the driest of skin. Containing 15% shea butter and numerous essential oils, it really is a treat for the feet. It does leave a bit of a greasy residue, but after a while, this soon sinks in. One thing I cannot stand about this cream though, is the overwhelming lavender fragrance. I'm really not a fan of lavender, but once I have thick socks on, the smell isn't a problem and if you like lavender, then you'll love this! I just love the packaging, although it isn't the most practical. The metal tube can get dented rather easily and if you're not careful, the tube can split. As it is so hydrating, a little goes a long way with this cream and after using this a lot, I still have so much left. For such a high quality foot cream, £18.50 is a great price. These individual packets of face masks from Montagne Jeunesse are great for when you just want to give your skin a little boost. With such a wide range of masques that all do different things for the skin, there is something for everyone. 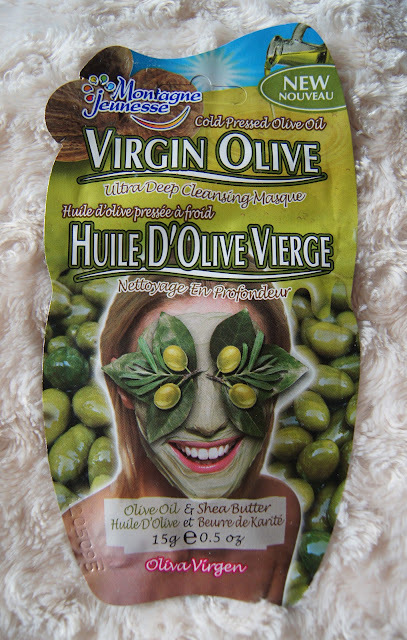 I've tried many out of the range and the 'Virgin Olive' has to be my favourite. It isn't at all oily like you may expect, but creamy and quite thick in consistency. I'm not too fond of the smell, somewhere between soap and parma violet sweets, but I can put up with it for around five minutes. It feels refreshing when you put it onto the skin and when I use one in the morning, I like to put it in the fridge for a few minutes before, to really give it a cooling effect. I'm not actually sure how much difference these masks actually make to my skin long term, the results aren't too dramatic, but they are nice for when you just want a quick pamper session and instant gratification. This particular mask, whilst it deep cleans, hydrates also and leaves my skin feeling clean and soft. As they come in individual packets, they would be great for travelling, instead of taking a full tube of product. Each packet contains the perfect amount of product for the whole face and means you don't waste any and the used sachet can be thrown away easily. 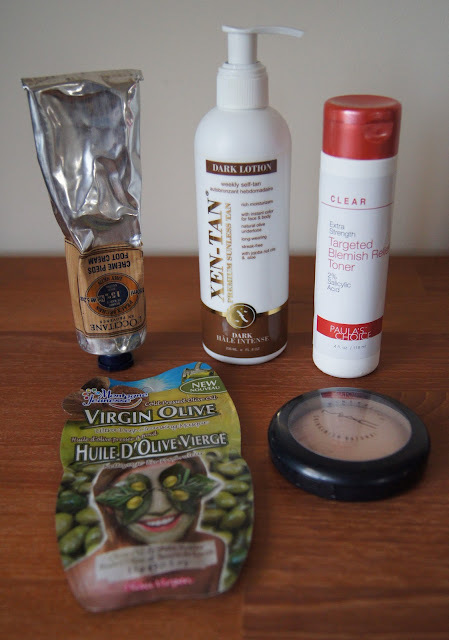 They are cheap, especially as they are more often than not on offer in Boots and Superdrug. What are your favourite products from the past month? Have you tried any of these before?